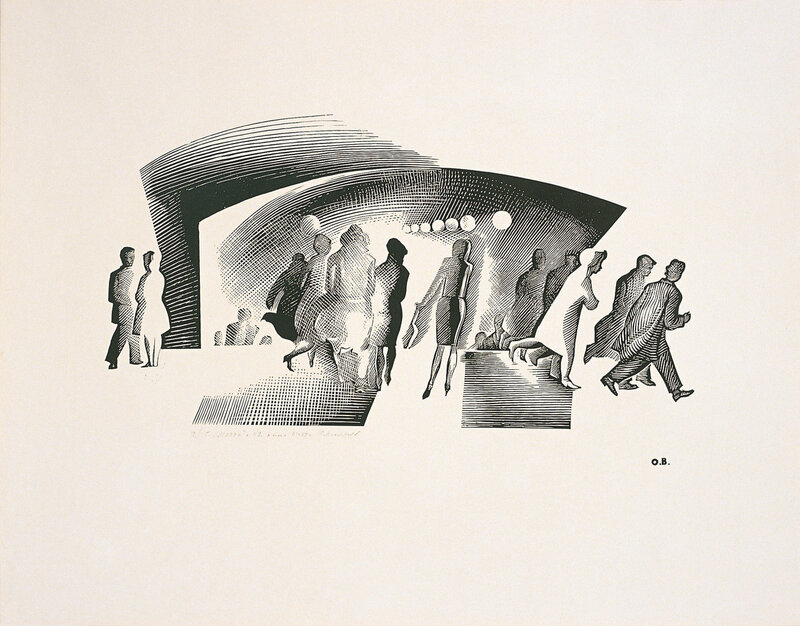 The exhibition features linocuts from the late 1950s and early 1960s and selected drawings and collages by prominent Russian-American artist Oleg Vassiliev (1931-2013). The exhibition talk by Natalia Kolodzei will discuss works in this exhibition as well as history of Russian print making. For those interested in Russian art, this is an ideal place to explore the unknown world of Russian contemporary prints. Natalia Kolodzei, an honorary member of the Russian Academy of Arts, is a curator and art historian specializing on the art of Russia and the former Soviet Union. Ms. Kolodzei is also Executive Director of the Kolodzei Art Foundation, and, along with Tatiana Kolodzei, owner of the Kolodzei Collection of Russian and Eastern European Art, containing over 7,000 pieces by over 300 artists from Russia and the former Soviet Union of the 20th and 21st centuries. Since 1991, Ms. Kolodzei has curated over fifty shows in the US, Europe and Russia, including: Oleg Vassiliev: Memory Speaks (Themes and Variations), the State Tretyakov Gallery, Moscow and the State Russian Museum, St. Petersburg; Moscow-New York =Parallel Play and From Leningrad to St. Petersburg, Chelsea Art Museum, New York. In addition, she has contributed to several books and catalogues, including: Oleg Vassiliev: Memory Speaks (Themes and Variations), Palace Editions, 2004; Vadim Voinov. The State Hermitage under a Full Moon, the State Hermitage Museum; Olga Bulgakova, WAM, 2007; Alexander Sitnikov, WAM, 2007; Shimon Okshteyn: Dialogue with Objects, Palace Editions, 2007; Oleg Bourov, Musée Daubigny, Auvers-sur-Oise, France, 2000; and Yakov Vinkovetsky: Windows into the Spaces of Light, The State Institute of Art History, Moscow, 2001.